What comes to mind when you think about content marketing? 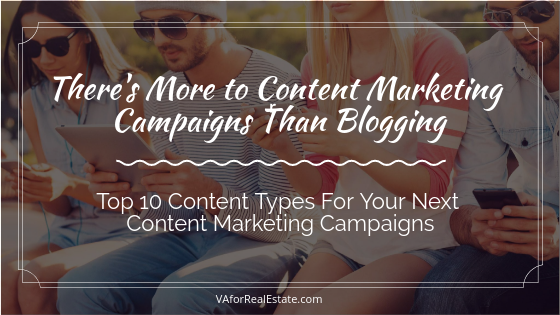 The most common types are blog posts, articles, and eBooks. Written content works great. Using these additional nine kinds of content for your marketing campaigns work just as well or better. Blog Posts – Blog posts are essential to a successful content marketing strategy. Consistent posts help establish your brand and authority. Your marketing should direct people back to your post. While there, they will likely explore other posts and site content. Videos – Watching video is the preferred method of learning by many people. Search engines are also a big fan. Look at your most popular content and repurpose it into a video. It’s easy to create a PowerPoint presentation and save it into an MP4 format. Use your microphone to add vocals or simply add plain text. Create a video using your iPhone or create a video presentation using Animoto or Biteable. Infographics – Admittedly infographics take a lot of forethought and preparation. When completed, though, your viewers will see and understand the main points of your content without having to read a lot of words. Checklists – Checklists are great for two reasons. 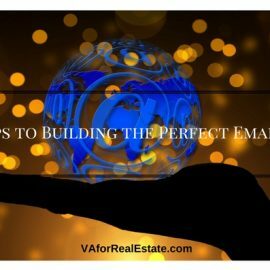 They give your readers an outline of what they need to do and you can use a checklist to get people to sign up for more information or to join your mailing list. Social Media – Your social media followers are hungry for the information you share. Repurpose your content in a way that draws attention to your post. Use a service like Canva to create great social media graphics. Presentations – Create a visually appealing PowerPoint presentation with your repurposed content. Upload it to Slideshare, a LinkedIn company. You’ll have the opportunity to add links and optimization. Quizzes – Quizzes are a very interactive way to engage your readers. Post your quizzes on your social media, website, email or blog. Promote the quiz on social media or email. Online Courses – People are always looking for ways to learn online. Courses are often free. Create an abbreviated or introductory course and then offer an extensive course on that subject as an upsell. Either way, online courses provide an exceptional opportunity to build trust and confidence in your readers. Memes & Gifs – Memes and Gifs are everywhere on social media. Create a meme about one of the hot topics of the day. Humorous memes are the most-often shared. There are also apps to create Gifs that you can post on social media. To make the most of your content marketing campaigns, explore these ten types of content. 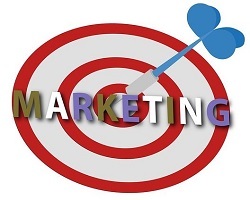 This will help you reach more of your target audience. Why Pay for Ads? 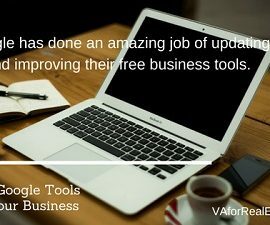 Google Tools for Business are Free!